An excavator finishes digging out the last part of a new canal near Fallon that will transport water from Carson Lake to the Stillwater Point Reservoir. 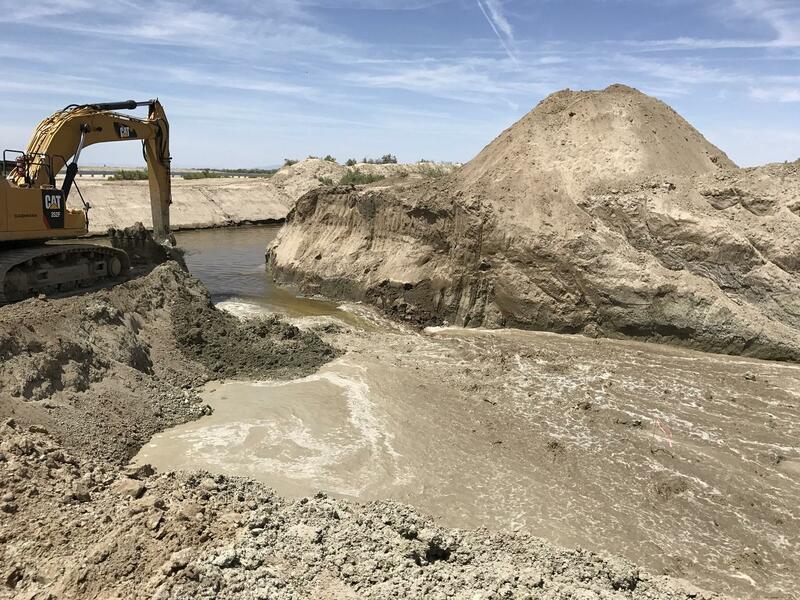 A new project in northern Nevada has finished up just in time to help keep the city of Fallon safe from potential spring runoff flooding. But officials say it could actually protect the region for several decades. Reno Public Radio’s Noah Glick has the story. A crowd of about 100 people gathered near Fallon to watch an excavator dig up the final portion of a new canal that connects Carson Lake to the Stillwater Point Reservoir. Dubbed the “Big Dig,” the canal is essentially a 17-mile-long man-made ditch that provides another option for diverting excess water through the area. “It’s about 60 foot wide, and it varies in depth from nine to 27 feet,” says Incident Commander William Lawry. Lawry says the plan leveraged existing drainage ditches used for agriculture and connected them with a new 6-mile trench. The entire process took six weeks to complete, with 40 workers from the city, Churchill County and even a volunteer farmers’ brigade. Lawry says that hard work will pay off long-term. Churchill County Chairman Pete Olsen agrees. “This is a generational change in how water will be handled in our community this year and in many decades to come,” he says. While the new channel itself got much of the fanfare during the recent unveiling, several regional flood projects are also working behind the scenes to help the communities surrounding Fallon. And to understand the interconnectedness of them all, we first need to go to the beginning: the Carson River. Duane Petit is the Carson River Project Director for The Nature Conservancy. He and his team have connected the river to its flood plain near Genoa, which acts as a natural reservoir that can hold more water upstream, and release it slowly over months, rather than all at once. “When the river can rise up and spread laterally across the land, it slows the flow, it spreads the flow and that has a lot of positive implications for the folks downstream,” Petit says. The Carson River then moves nearly 60 miles to the Lahontan Reservoir, where Petit says it’s dammed and stored. “Lahontan Reservoir, which has been virtually empty for about five years because of the drought, is totally full,” he says. It’s not completely full, but water levels can rise quickly. At the end of last year, the reservoir was less than a quarter-full. But by the end of February, it was at nearly 85 percent capacity. And the latest projections from the National Oceanic and Atmospheric Administration show there’s roughly enough water in the Sierra snowpack to fill another 1.3 Lahontan Reservoirs, meaning officials will be forced to continue large releases of water. To make room for that, crews cleared out debris and installed what’s called a weir, essentially a man-made waterfall that can also divert flows. Olsen says those efforts opened up more than half of the Lahontan Reservoir’s capacity. “If you put 180,000 [acre] feet back into Lahontan that we’ve already let out, that we couldn’t have if we hadn’t done these things, our community would have flooded and flooded badly,” he says. Now here’s where we get to the new stuff. As water fills Carson Lake, officials need options of where to send it. Thanks to the “Big Dig” effort, they can safely send those flows underneath U.S. 50 and into Stillwater Point Reservoir. Fallon Mayor Ken Tedford says the importance of this project cannot be understated. Tedford says now that the new canal is complete, he is less worried about flooding. But one area he’ll be watching closely is the Humboldt River, which could send its excess water to the same place. 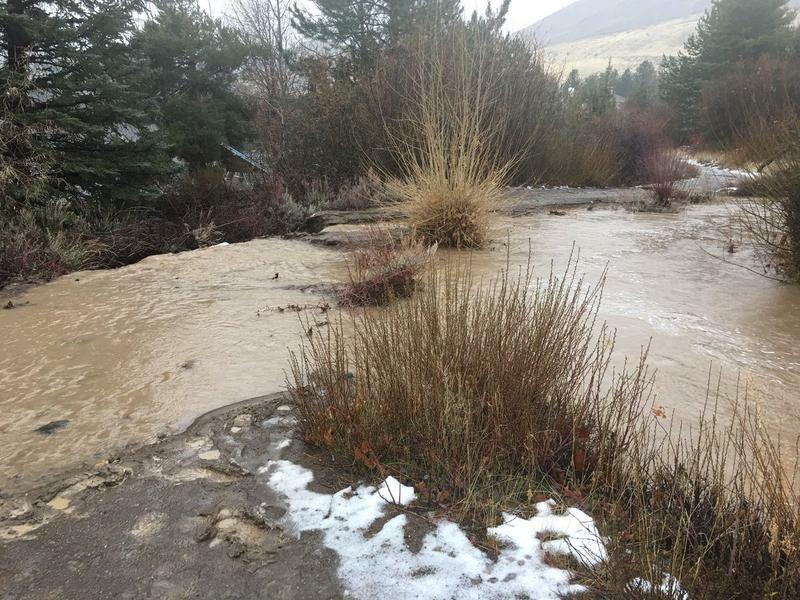 This year’s flooding has left many people in Northern Nevada either displaced or dealing with extensive property damage. But nowhere in the state may be as hard hit as Lemmon Valley. NOTE: This information has been provided to KUNR by a press release from the University of Nevada Cooperative Extension. It includes tips from the Red Cross, FEMA, the National Weather Service and University of Nevada, Reno, and was written by Lindsay Chichester, Carson City Extension Educator at University of Nevada Cooperative Extension. You can find more information at NevadaFloods.org. As the Truckee River begins to level off in downtown Reno, the river is expected to crest between 6 am and noon Monday in Sparks. 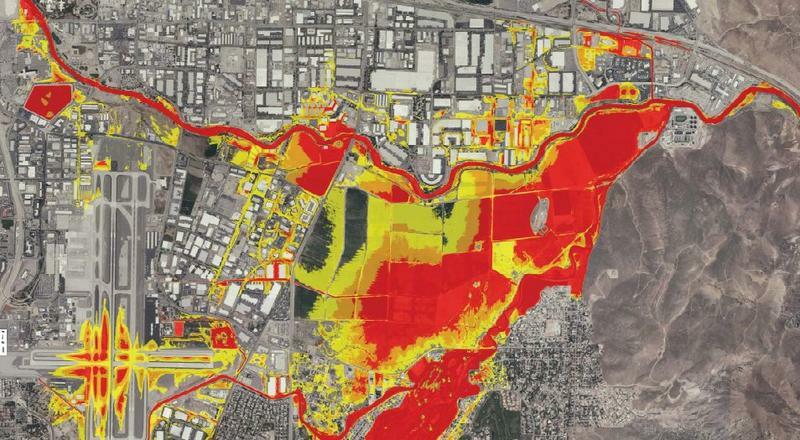 As of 2 am, there have been no flood-related injuries reported by REMSA, though about 400 dwellings in Washoe County and nine commercial buildings were evacuated. Our News Director Michelle Billman just spoke to Seth Williams, he's a division chief for Reno Fire, to get an update on flood conditions and to look ahead on what to expect for the morning commute.